Thanks to Global Lift Hire and Kennards for the access equipment to get 120 kilograms of glass up in to this window panel at one of our local schools. Made the job easy! 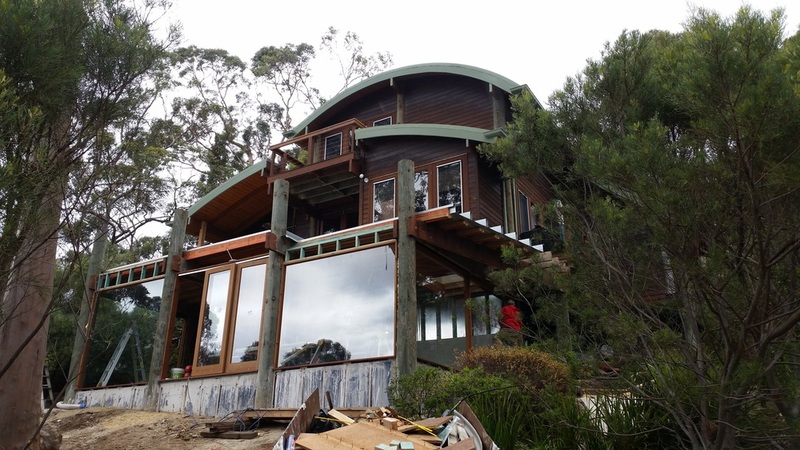 Today we made the trip to Lorne to glaze some windows in an extension overlooking the ocean. Ah, the sea air! 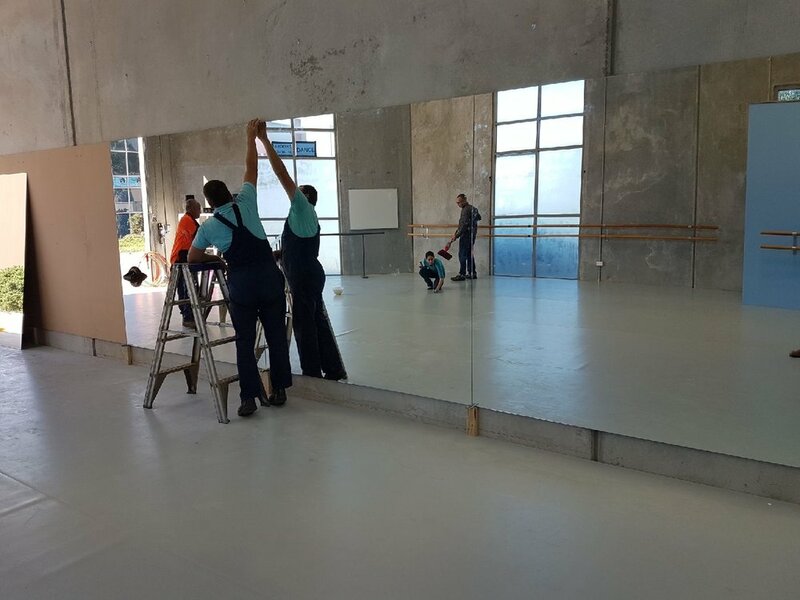 In an effort to bring the outdoors inside, the builder made floor to ceiling windows which we glazed using laminated safety glass. This morning it was an open air work site but when we left at lunch time, it was a room for the grand kids with 180 degree views of the amazing beach line of the Great Ocean Road. Thinking about a glass splash back? Check out this fact sheet published by The Australian Glass and Glazing Association for some handy information and tips that might assist with your decision. 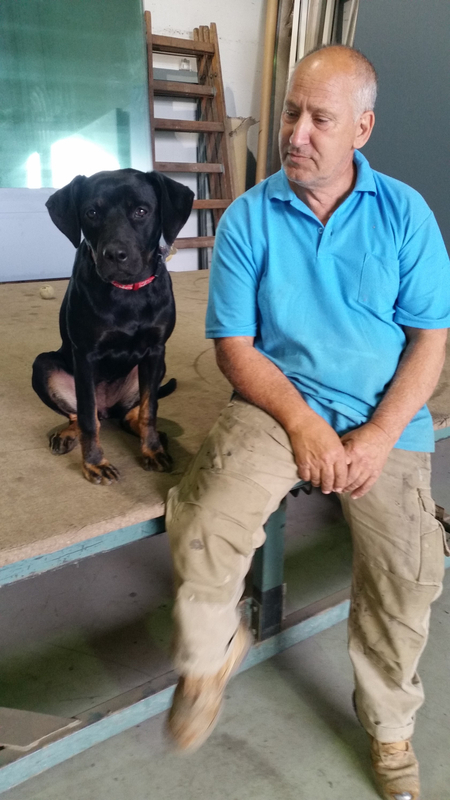 Frank has been with Werribee Glass for the best part of 30 years. He is a most loyal, reliable and trustworthy employee and without him, we would not be the company we are today. 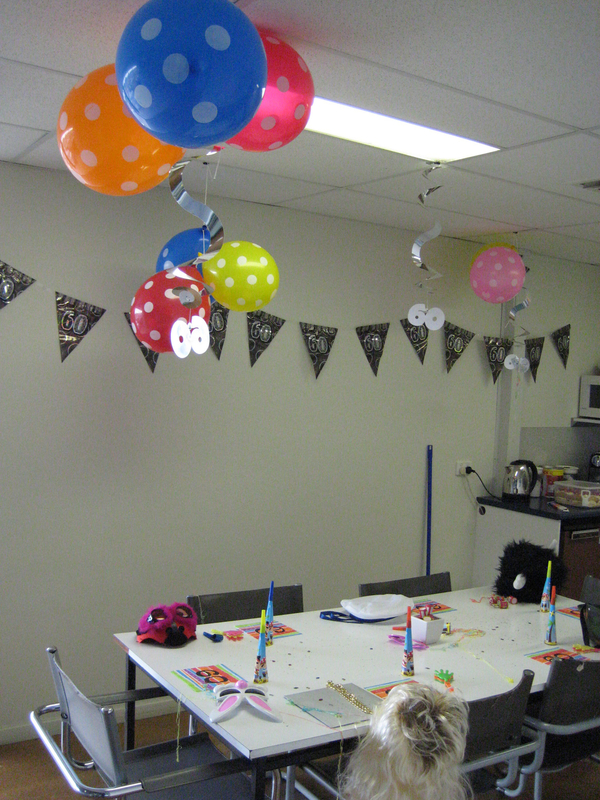 We were thrilled to be able to help him celebrate his 60th birthday today with cake, party poppers, balloons and funny hats! As an extra treat, we are breaking with the fish and chip friday tradition and heading out for lunch to the pub. HAPPY BIRTHDAY FRANK AND ALL THE VERY BEST WISHES FOR TODAY AND THOSE TO COME. Nothing better than shouting your boss a coffee on smoko break. 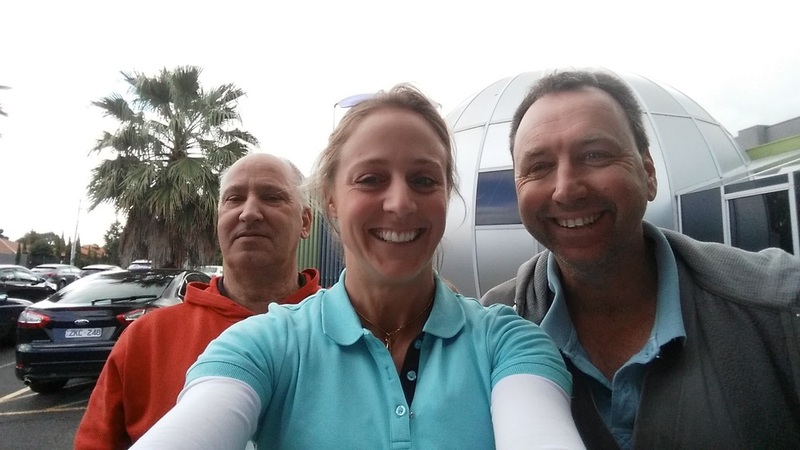 Whilst onsite in the Point Cook town centre yesterday, we called in to Michele's Patisserie for a coffee and snack. We were making some alterations to an existing window by removing the fixed glass panel and then fitting a pair of doors. Remember though, your Enduroshield is best used on new glass so as soon as you've got your new shower screen or fence installed, make sure you've got some Enduroshield on hand. It will make life so much easier for the cleaner! What is energy efficiency all about? 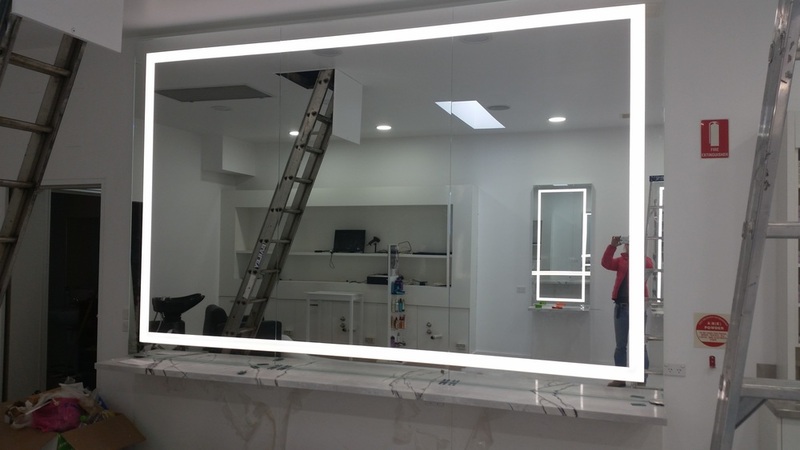 We were lucky enough to be part of the renovation team at Koh Haircutters in Altona. Installing the mirrors and suspended glass shelving yesterday ready for the grand reopening on Tuesday 9th June. 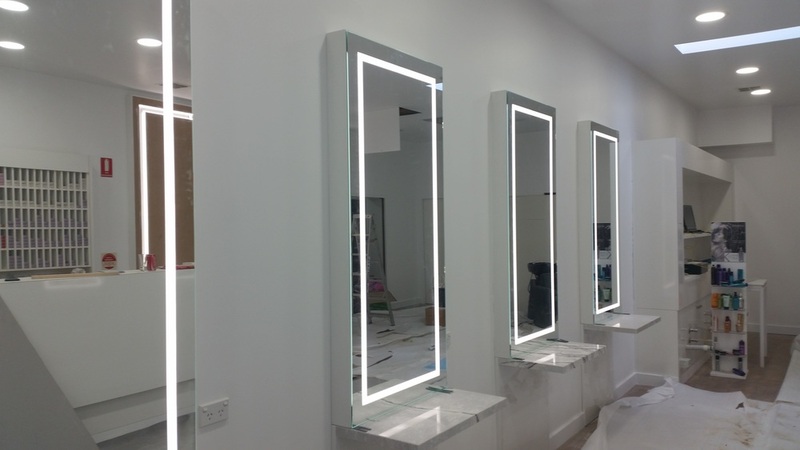 The mirrors at each cutting station have been sandblasted on the back to create a border effect through which the LED lighting can shine, and the toughened glass shelves have been suspended from floor to ceiling by stainless steel cables. Call in for a haircut and get a closer look at some of the cool stuff you can do with glass. Looking for a career in glass? Check out this video produced by the Australian Glass & Glazing Association demonstrating how we cut glass by hand. Up on the scissor lift today. All safety gear in check and job done successfully. We were replacing a piece of toughened safety glass today to a panel in a factory frontage. While toughened glass is very strong, there's no need to tell you how much more careful we have to be when handling it from heights. We have a trained health and safety officer in our team and we all hold construction industry white cards. Welcome to our new website! Hopefully we can provide you with the information and service to satisfy your glazing needs. Our blog will be updated regularly with our recent projects and all that is going on in the building industry with relation to glass, aluminium, and windows and doors.